Super quick post on my very first pocket letter.So excited I was really worried on how it would come out.I really loved making this one. It is quick and easy. And oh so much fun. I believe I am now addicted. 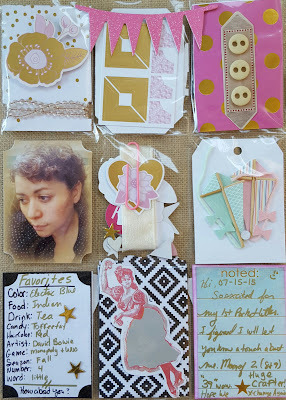 And would love to invite my reader (few as they may be) to give this a try.Here is a link to the original Pocket letter video by the Pocket Letter Creator Janette Lane. She will tell you what Pocket letters are all about and how she came up with the concept. So here is a picture on my first pocket letter. Hope you enjoy.I used a combo of Heidi Swapp's Project life cards etc. 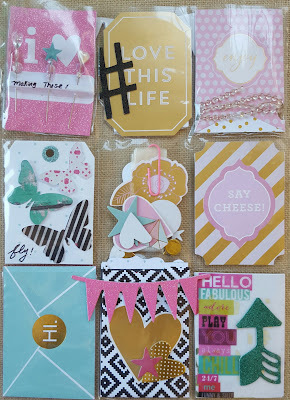 And Craft Smith's Cardstock shapes sets. 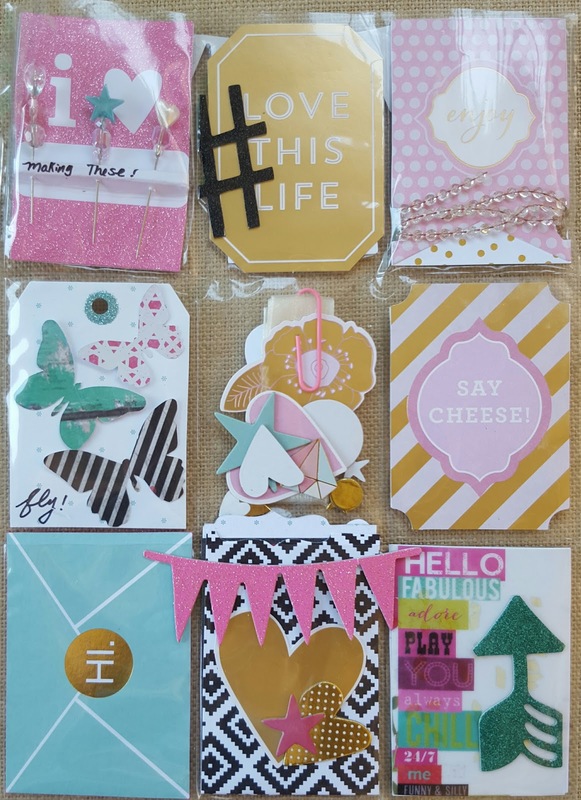 Along with a few things in my stash I wanted to share with my Pocket Letter pal.